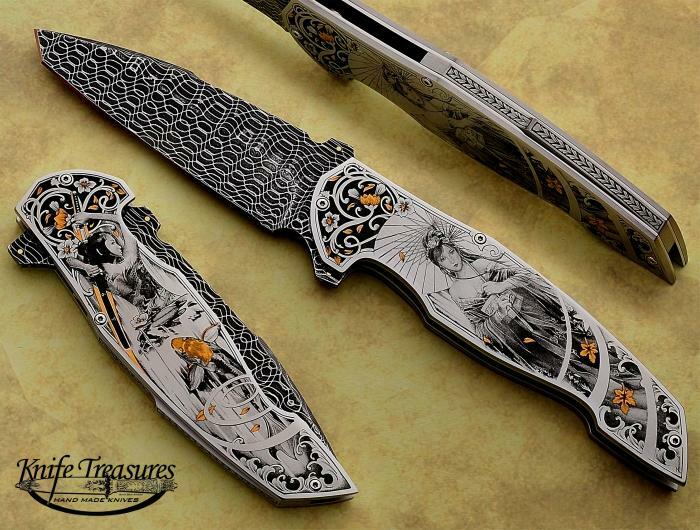 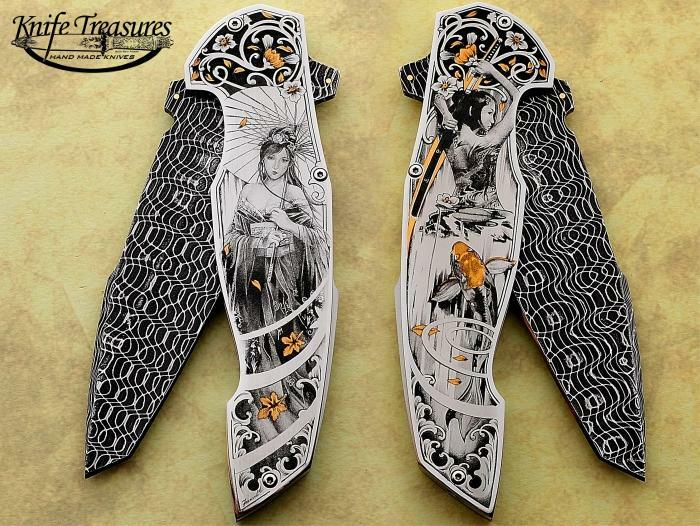 A Magnificent Tanto shaped blade folder by Sergio Consoli . 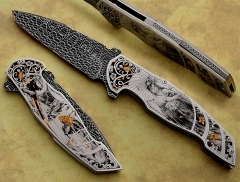 This beauty meausres 10" open and has an awesome Spirograph Damascus blade. 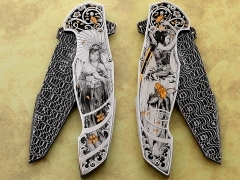 It has then been engraved by Italian Master Simone Fezzardi with Geisha/Samurai/Koi fish Theme.